September 15 and 16 select studios will be open for visitors! 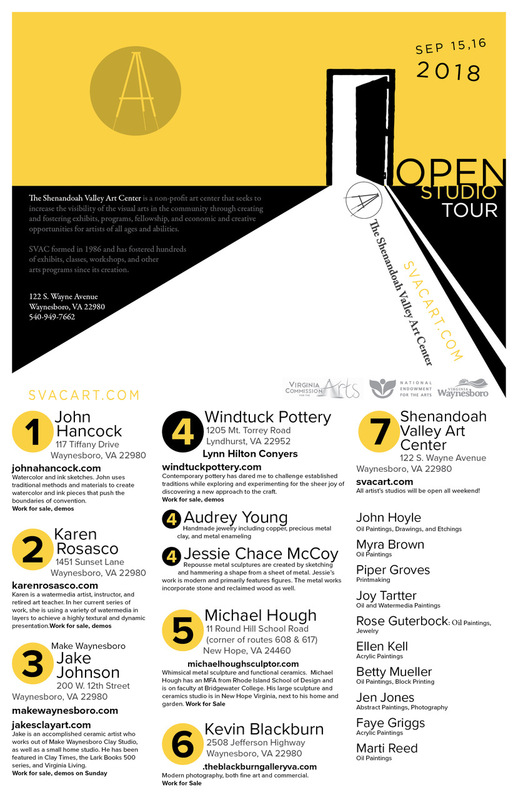 Meet the artists, check out works in progress, enjoy demonstrations and show specials. Use the map below to program your GPS and get on the road! Studios are open Saturday 10-5 and Sunday 12-4. Look for these signs on the road!